Context: I am Libby Day. I wish to tell you about my mother and two sisters, who were murdered in what appears to be a Satanic cult ritual. I have a meanness inside me, real as an organ. Slit me at my belly and it might slide out, meaty and dark, drop on the floor so you could stomp on it. It's the Day blood. Something's wrong with it. I was never a good little girl, and I got worse after the murders. Little Orphan Libby grew up sullen and boneless, shuffled around a group of lesser relatives--second cousins and great-aunts and friends of friends--stuck in a series of mobile homes or rotting ranch houses all across Kansas. Me going to school in my dead sisters' hand-me-downs: Shirts with mustardy armpits. Pants with baggy bottoms, comically loose, held on with a raggedy belt cinched to the farthest hole. In class photos my hair was always crooked--barrettes hanging loosely from strands, as if they were airborne objects caught in the tangles--and I always had bulging pockets under my eyes, drunk-landlady eyes. Maybe a grudging curve of the lips where a smile should be. Maybe. IT WAS MISERABLE , wet-bone March and I was lying in bed thinking about killing myself, a hobby of mine. Indulgent afternoon daydreaming: A shotgun, my mouth, a bang and my head jerking once, twice, blood on the wall. Spatter, splatter. "Did she want to be buried or cremated?" people would ask. "Who should come to the funeral?" And no one would know. The people, whoever they were, would just look at each other's shoes or shoulders until the silence settled in and then someone would put on a pot of coffee, briskly and with a fair amount of clatter. Coffee goes great with sudden death. I pushed a foot out from under my sheets, but couldn't bring myself to connect it to the floor. I am, I guess, depressed. I guess I've been depressed for about twenty-four years. I can feel a better version of me somewhere in there--hidden behind a liver or attached to a bit of spleen within my stunted, childish body--a Libby that's telling me to get up, do something, grow up, move on. But the meanness usually wins out. My brother slaughtered my family when I was seven. My mom, two sisters, gone: bang bang, chop chop, choke choke. I didn't really have to do anything after that, nothing was expected. Your brother murdered your family. Your evidence put him away . 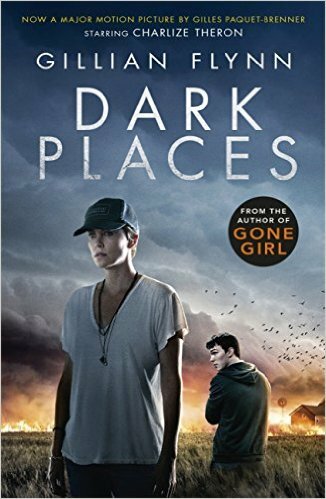 . . the gripping second novel from the author of the mega-bestselling GONE GIRL.